Heyyyyyy!!! That's right, Fonzie is back! 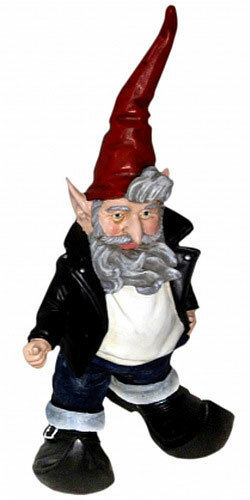 The Fonz Gnome is the coolest gnome in town. Don't think so? He'll tell you to Sit on it. Arthur Gnomebert Fonzarelli has a rough past, but he's great with the ladies and you'll have no choice but to adore him. He greaser does what he wants, don't expect any apologies. Thumbs up Richie!